Materials: papier-mâché, polyethylene foam, wood, metal wire, fabric, lace, glass furniture. 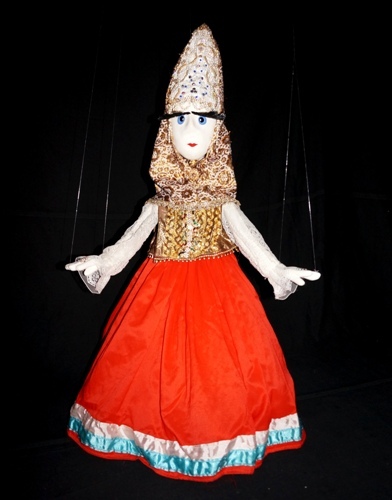 Russian Beauty is the first Russian folk style puppet of Nikolai Zykov. Costume of the puppet is a unique 18-th century Russian wedding costume, city Galich-Кostromskoy. The puppet has specially constructed control for wave-type moving of hands.